In general news our work on the Pioneer Australia website, has been recognised for an Outstanding Achievment Award by the Interactive Media Awards. F/F were invited to Art Direct the project by Flash Group where we worked alongside the digital team that included Paul Wilson now of White Labelled. We are also beginning to look into the start up of a collaborative studio space in Melbourne, bringing together some of our favourite collaborators under one roof, in a space we hope will be a little more than just another studio space – stay tuned for news. App Store and beyond – NextWeb™? Just to add that the Pioneer Australia website has also been recognised for it’s overall excellence by Adobe and received their site of the day award for 03-12-2008. 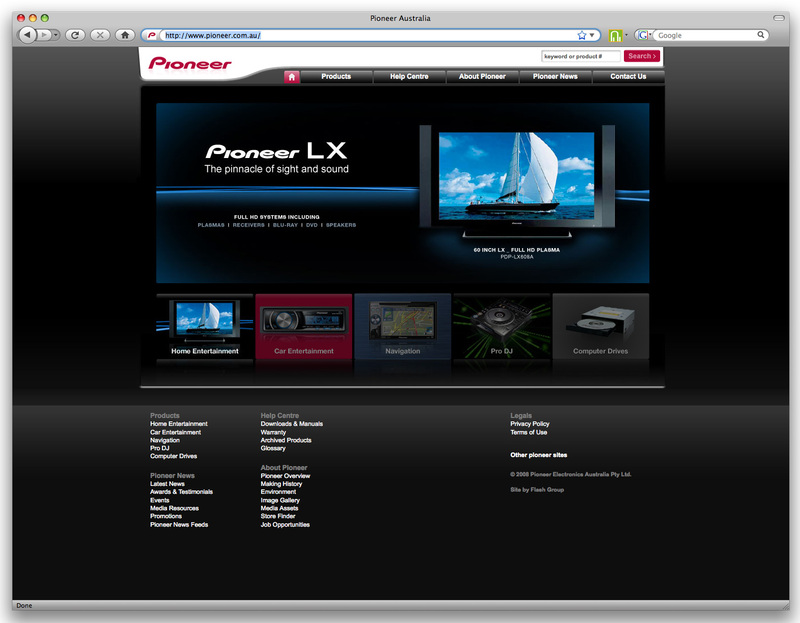 Pioneer Australia is recognised as Best Electronics Site by Sitecore at it’s international awards.